Something special sets the apartment building on York Avenue and 65th Street apart from so many other walkup buildings in New York. And it’s not just its coral-red color. The abundance of small and large windows is one thing. 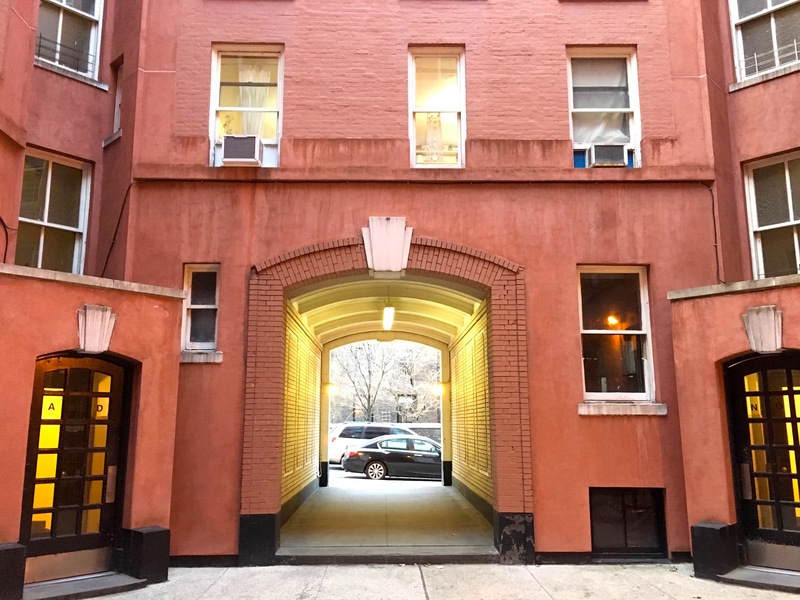 Then there’s the arched, carriage-size entrance leading to an interior airy courtyard, where four separate doors open to wide, bright interior stairwells. The courtyard isn’t huge, but it offers light and a sense of space—two rare commodities in a city where decent affordable housing was (and still is) hard to come by. At the turn of the century, when this building was conceived, two thirds of New Yorkers crammed themselves into dank, dark downtown tenements built by quick-buck developers. But this building wasn’t put up by a greedy developers. 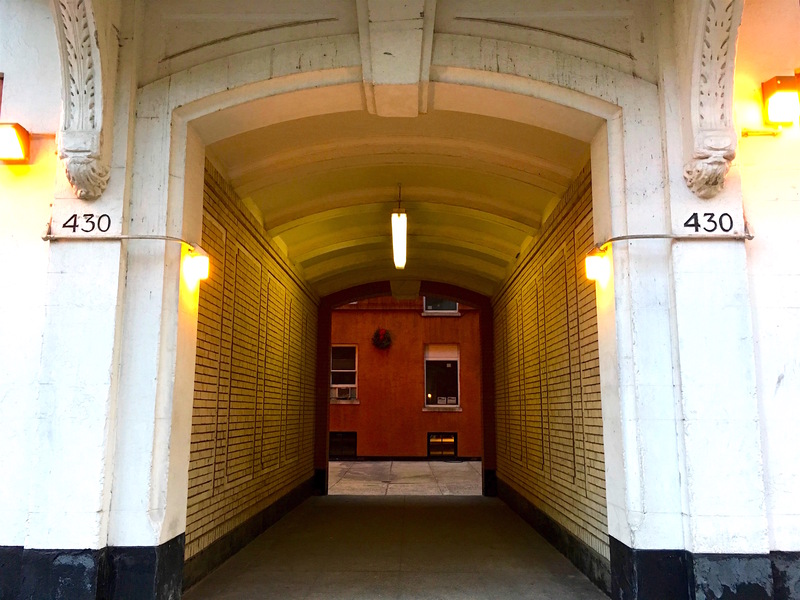 It was part of the First Avenue Estate, a multi-building project run by a housing corporation called City and Suburban Homes and constructed between 1898 to 1915. City and Suburban was founded by members of some of New York’s most prominent families. They agreed to limit the return on their investment to 5 percent in order to build clean, modern dwellings for blue-collar workers. 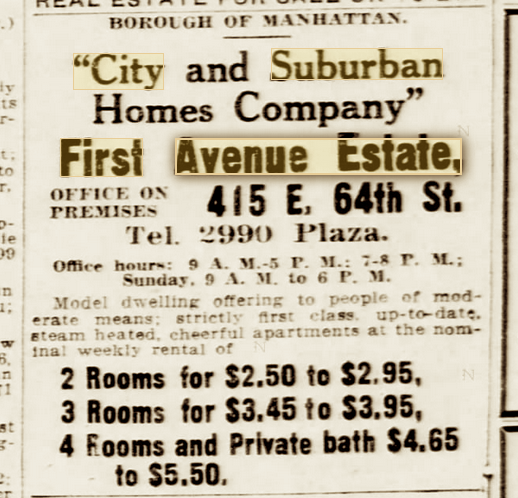 A similar group of model tenements developed by City and Suburban went up at York Avenue between 78th and 79th Streets. The amenities were enviable. “Every room has quiet, light, air, and an abundance of ventilation,” stated the 1905 pamphlet for the development, via the 2016 book Affordable Housing in New York. Each four-room flat also had something novel: a gas range that did not require a deposit or rent to be paid to the gas company before use. These model tenements were among several built by other groups in the early 20th century. 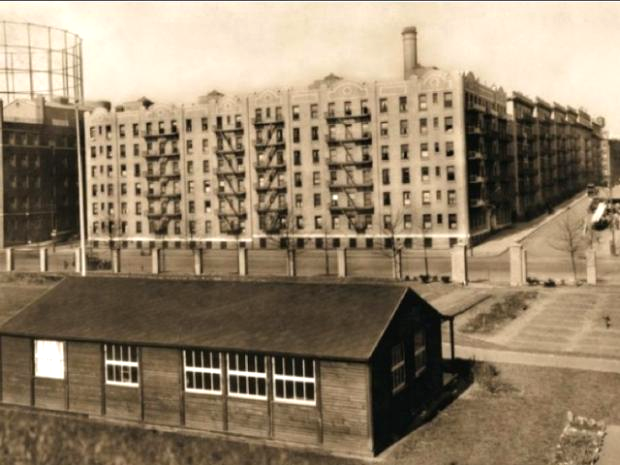 The Phipps model tenements were down in the East 30s and the West 60s, and the Shively Sanitary tenements, designed for people with tuberculosis, occupied a site on Cherokee Place in the East 70s. 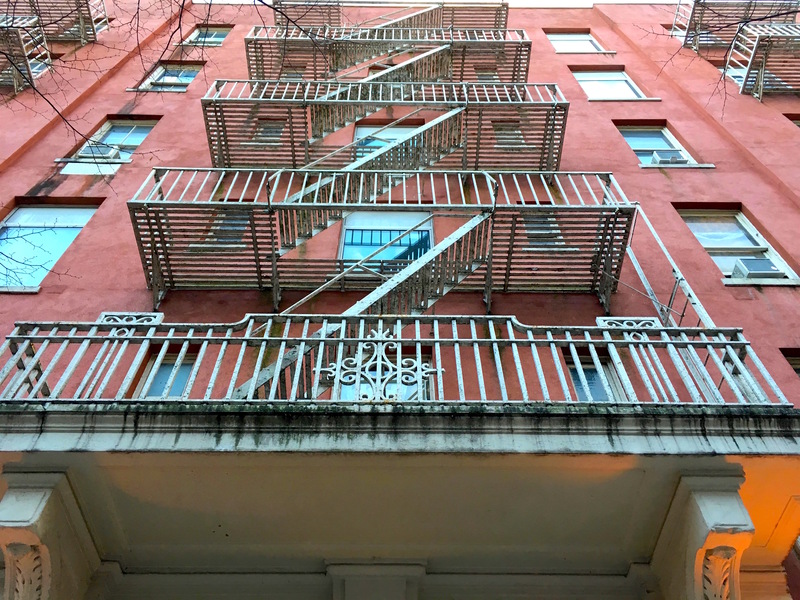 Though demand for affordable housing didn’t wane, the model tenement movement died down as the century went on, with many buildings becoming market-rate rentals. A different fate could still await the York Avenue model tenement. 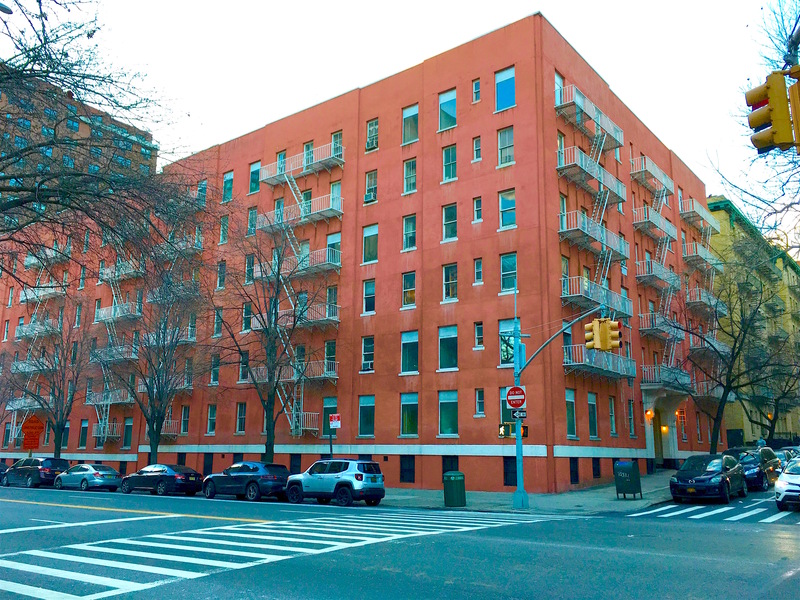 Despite having landmark status, the owner has waged a fight to tear it down because it doesn’t generate enough money, according to Friends of the Upper East Side Historic Districts.